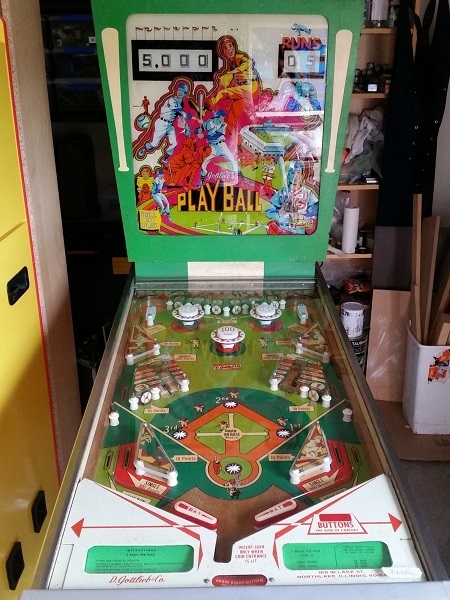 At the end of my previous update, I was really close to having the repair work on Playball complete. I haven’t had as much time as I would like lately to look at the machine, so it dragged on a little longer than I had hoped. The time has come though to get the machine running 100% and returned to its owner. I had two issues on my plate to deal with. The first was the third base lamp occasionally not lighting up when it should and the second was the score motor continuing to run intermittently during play. The third base issue turned out to be a dirty shoe on the hit unit. I had somehow missed cleaning it along with the others in my last update. Nice and simple. That just leaves the dreaded score motor. Playball has come along nicely since it was first dropped off for repair and it’s a satisfying feeling each time a forward step is made. Getting old machines back into a fully working state is what I love most about this hobby. I finished up my last update with an initial look at the three man on base relays. 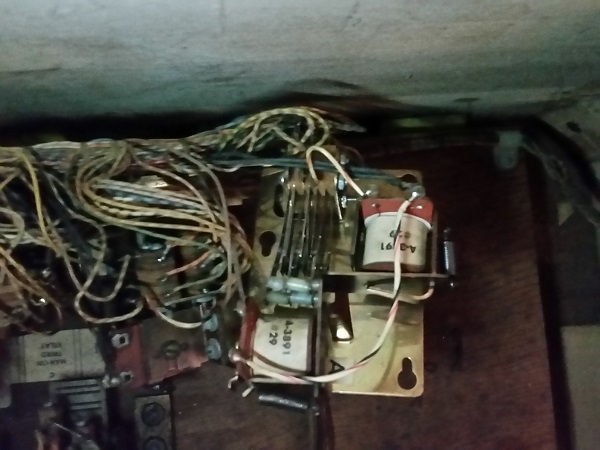 These are the interlock style relays, which have 2 coils to toggle its switches between state. In Playball, these control if a man is on the base or not. The specific problem I’m looking into is why the man on base relays do not reset as part of the game reset sequence. Currently, their state is carried between games. Having made some good progress on Playball in my last update, it’s time to continue the push forward and get this reset issue sorted out. I took a couple of days away from the machine to clear my head and (hopefully) prevent myself from making any assumptions on the machine. The fact I can play a game on it when manually pulling the control bank arm in tells me the game is close – something is just not quite right. There isn’t a lot on this game that has to be reset in order to start. 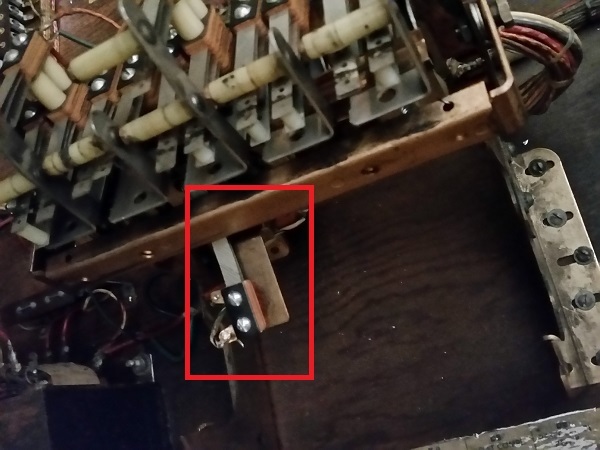 My primary focus here is the control bank – and quite specifically, the SB armature switch. Not long after finishing up on my X-Files machine, I was contacted by a guy who needed some help with an EM machine he owns. 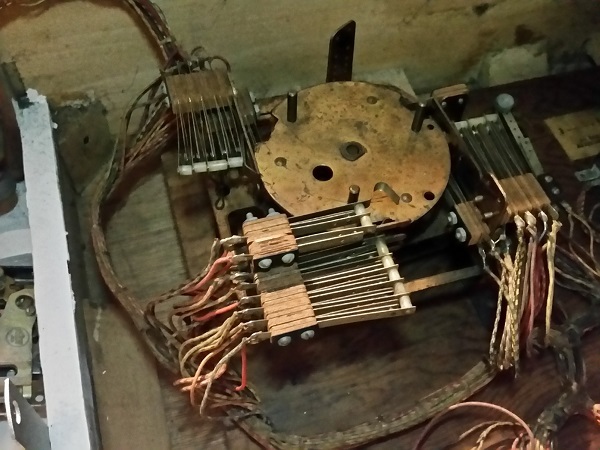 After reading the various posts I made on Space Orbit (Gottlieb) and Mariner (Bally), he was hopeful I might be able to assist with fixing his Playball machine. EM’s are really interesting to work on (plus a challenge), so was happy to offer my help. No promises were made, but I’d do what I could. Playball is a baseball themed pin released by Gottlieb in 1971. It has two sets of score reels, one to track the score and the other to track the home run count. It lacks a plunger to launch the ball, instead the ball is launched from between the flippers using the right flipper button to trigger a slingshot style arm. This actually gives the playfield area a little more space and room for features. Another really cool feature is the game has a ball save – if you fail to hit a 10 or 100 point target, the ball can be played again. I didn’t realise this kind of feature was present in EM’s – neat! I like the playfield on this game and I think it would be a fun title to play. That’s enough incentive to get cracking on it and get it working again so I can get a few games on it before it goes back to the owner.